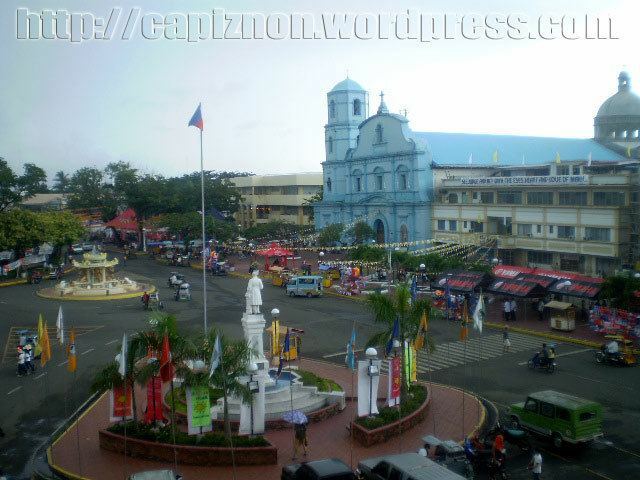 Capiz is a province located in the region of Western Visayas in the central section of the Philippines. Its capital is the city of Roxas and is located at the northeastern portion of Panay Island, bordering Aklan and Antique to the west, and Iloilo to the south. Capiz faces the Sibuyan Sea to the north. 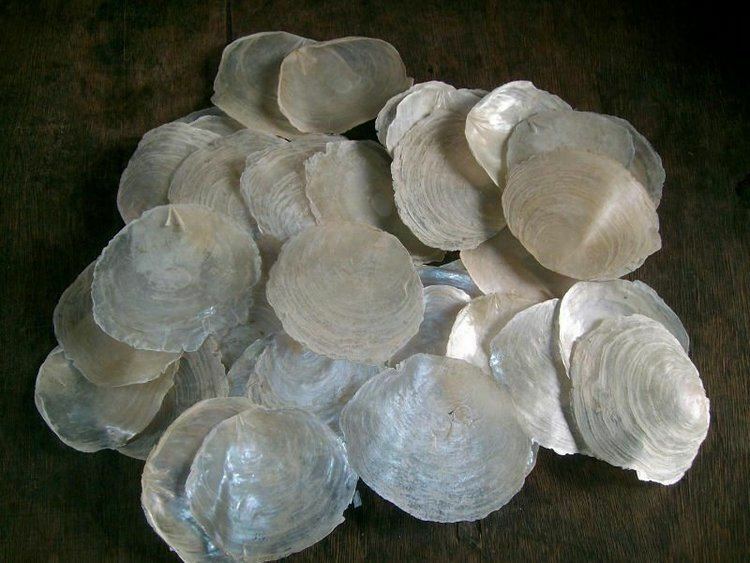 Capiz is known for the Placuna placenta oyster shell that has the same name locally and is used for decoration and making lampshades, trays, window and doors. Likewise, the province is known as the "Seafood Capital of the Philippines" and was among the top 15 most frequently visited places in the Philippines. Capiz is the site of the famous coral-stone Santa Monica Church in the town of Pan-ay, home to the largest Catholic Church bell in Asia. The bell was made from 70 sacks of gold and silver coins donated by the townsfolk. Measuring seven feet in diameter, five feet in height and weighing 10,400 kilograms or just over 10 metric tons, the Pan-ay bell is popular among tourists visiting Capiz. The account of early Spanish explorers about Capiz and its people was traced back in the year 1566 when the Spaniards set foot in the mouth of Banica river. Early settlements were seen in the town of Pan-ay which the town originally called "Bamban" which was changed by the early Spaniards to "Panay", a word which means "mouth of the river." This is also the location of a fortress built by Juan de la Isla in late 1570. The Paseo de Evangelizacion 1566 can be found in the town plaza and was erected through the efforts of Rev. Msgr. Benjamin F. Advincula. When the Spaniards led by Miguel López de Legazpi came to Panay from Cebu in 1569, they found people with tattoos, and so they called the island Isla de los Pintados. How the island itself came to be called Panay is uncertain. The Aeta called it Aninipay, after a plant that abounded in the island. Legend has it that López de Legazpi and his men, in search of food, exclaimed upon the island, pan hay en esta isla!. They established their first settlement on the island at the mouth of the Banica River and called it Pan-ay. 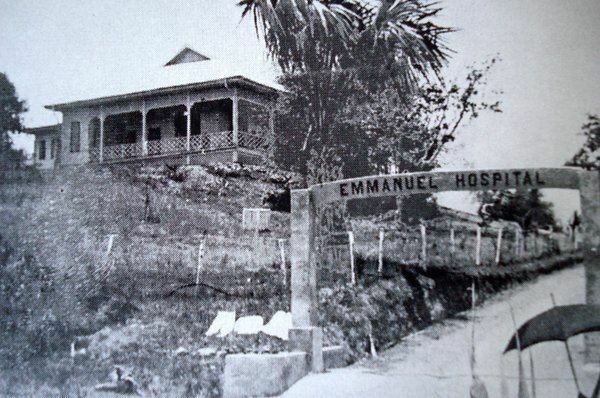 This was the second Spanish settlement in the Philippines, following San Miguel, Cebu. Unknown to many, Calle Revolución in Panay town is the second oldest street in the Philippines after Calle Colon in Cebu City, Central Visayas. Later in 1569, Captain Diego de Artieda, who was sent by Legazpi, landed in the Town of Panay and proclaimed it as the capital of the province. Later, the Spaniards moved the capital to its present site upon discovering the town of Capiz (not the province, and now Roxas City) which was near the sea and provided docking facilities. The province was created a separate encomienda and was later organized into a politico-military unit in 1716. The American takeover of the Philippines resulted in the establishment of a civil government in Capiz on April 15, 1901 by virtue of Act 115. In 1942, the region was occupied by Japanese troops. In 1945, the region was liberated by the joint Filipino and American troops with Capiznon guerrillas. Capiz and Aklan were united under one province until April 25, 1956, when President Ramon Magsaysay signed into law Republic Act 1414 separating the two entities. Capiz covers a total area of 2,594.64 square kilometres (1,001.80 sq mi) occupying the northeastern portion of Panay Island, and is one of the five provinces that compose the Western Visayas region. Mount Nangtud, is the highest mountain in Capiz with an elevation of 7,234 ft ( 2,205 m) located in Capiz and Antique border. Other peaks are Mount Tigas 4,760 ft (1,451m), Mount Agudo 2,736 ft (834m). The province comprises 473 barangays, 16 municipalities and a city. Roxas City, the provincial capital, is only 45 minutes away by plane from Manila and is within the routes of major shipping lines. The Panay River used to be famous for the great number of crocodiles thriving there. Capiz is bounded by the Sibuyan Sea, the Panay, Loctugan and Ivisan rivers. Capiz comprises 1 city (Roxas) and 16 municipalities, further subdivided into 473 barangays, with 2 congressional districts. The population of Capiz in the 2015 census was 761,384 people, with a density of 290 inhabitants per square kilometre or 750 inhabitants per square mile. Historians and ethnologists narrowed down to three types of people known to have inhabited Capiz: Aeta, popularly known as Negritos; Indonesian descendants of the Mundo tribe in central Panay; and the Malays. Located in Tapaz, it is a cultural minority of Indonesian stock that worships spirits, practice secondary burial, and hunt with blowguns. The Sulod love personal ornaments. The necklace worn is not only an ornament and a status symbol but also an anting-anting or amulet. Roman Catholicism remains influential in the lives of most people living in Capiz especially in the fields of politics, education and even in their daily personal decisions. Roman Catholics are predominant with 70 percent adherence, the Aglipayan Church has a strong minority with 20 percent while other minorities are Born Again Christians, Iglesia Ni Cristo, Methodists, The Church of Jesus Christ of Latter-day Saints, Baptists, Jehovah's Witnesses, and Seventh-day Adventists among others. There are two main local languages: Capiznon and Hiligaynon. Filipino and English are also used and understood as the business languages and are widely spoken as second languages respectively. Aklanon is spoken in towns near Aklan such as Sapian and Jamindan. Capiznon is concentrated in the province of Capiz in the northeast of Panay. It is a member of the Visayan language family and the people using it are part of the wider Visayan ethnolinguistic group, who constitute the largest Filipino ethnolinguistic group. It is often confused with Hiligaynon or Ilonggo, but it has its own unique vocabulary and accent, as well as a handful of words unique to the language itself. With its 80-kilometer coastline and wide expanse of swampy lands easily converted into fishponds, Capiz is dubbed as the "Seafood Capital of the Philippines". It holds one of the richest fishing grounds and is a major contributor in the aquamarine industry of the Philippines. Farming and fishing are the primary sources of income for the people. The combined natural bounty of land and sea sustain a vibrant food industry. Primary agricultural raw products are rice, corn, coconut, sugarcane, banana and cut flower. Apart from a surplus of agricultural products, Capiz is also a major supplier of prawn and milkfish (bangus). Other agro-industrial harvests include blue marlin, squid, oysters, shrimp, seaweed, and angel wings. Rich fish ponds attract investors to venture into prawn culture, prawn feed manufacture, seaweed farming and the distribution and processing of other marine products. A robust workforce of 445,246 operates with a literacy rate of 92.04%. Its relatively unexplored caves are said to have high deposits of mineral resources such as limestone, gold and metal. Four big telecommunication companies offer telegraph, telex and telephone services. Communication facilities are catered by the Philippine Long Distance and Telephone Company (PLDT), Bureau of Telecommunications (BUTEL), PT&T, RCPI-Bayantel, Globelines-Islacom and cellular phone companies: Smart, Globe, Touch Mobile & Sun Cellular. Internet services are also available like PLDT Vibe. Broadcast media is catered by 4 radio stations namely: AM - DYJJ, DYOW - Bombo Radyo, DYVR - Radio Agong / RMN - FM.-Star FM. Television facilities reach the city through Iloilo. However, we have two (2) cable television provided by Wesfardell Cable Services and the Filvision, Inc. (Altocable). An ABS-CBN Television relay station is now operating in the city. There are more than 60 banking institutions and 116 intermediaries operating in the province. Some popular Capiz shell chips decorating design include gift items, indoor decoration and outdoor decoration ornaments. Capiz chip-made products range from lanterns, lamp shades, window pane, chandeliers, curtains, picture panels and frames, Capiz shell balls, plates, decorative bowls, candle holders, tiles, flower vase, door hanging chime, soapdish, pendant, globelight, necklace decor, beads, bird cage, floor lamp holders, faux chandelier, gift boxes, collection item rack and many more. Bulad or dried fish is a major product. There are several varieties of dried fishes that can be found in Capiz. The province has currently one non-voice outsourcing company - PETRA Academy. PETRA Academy serves Korean nationals for an online English tutorial. The company is located in 3/F JC TIU Building, Corner Burgos Street and Inzo Arnaldo, Roxas City. Pueblo de Panay township has allotted 7 hectares for Pueblo de Panay Technopark. The PEZA-approved technopark will house international and national BPO companies soon. Capiz is known for its trademark product, the brilliant Capiz shell, used in windows, lanterns, decorations, vases, etc. The Capiz shell has a luster similar to mother of pearl shells. The province has an official hymn, "O, Capiz", written in Capiznon by Charmaine Ocbeña Guartero and adopted on June 23, 2006. Capiz is one of the places in the Philippines that contributed a lot in Philippine folk dancing. The province alone has 19 Visayan folk dances such as "Tinolabong", "Gayong-gayong", "Timawa", Dagit-dagit", "Beneracion", "Tatay Meroy Cariñosa", "Pukol", "Habanera Capiceña", "Cabatingan", "Saad", "Pitik Mingaw", "Kuratsa Capiceña", and "Palomita Coquitana" to name a few. Saot Capiz - A cultural presentation - The First Capiz Dance Season held every Saturday at the Capiz Provincial Park, Roxas City. Sinadya sa Halaran - Is a merging of the Roxas City Fiesta "Sinadya" and the Province celebration of "Halaran". "Sinadya sa Halaran" is a commemoration of the feast of the patroness of Roxas City which is the Immaculate Conception and a thanksgiving. It literally means "Joy in Sharing and Thanksgiving". Rituals and festivities include fireworks, grand parades, fluvial processions, fair and food festivals, street dancing, and exhibits. Pangahaw Festival - A thanksgiving for a bountiful harvest by the Indigenous Peoples of Jamindan. Guyum-Guyuman Festival - "Caguyuman" the old name of Pontevedra, meaning anthill, a name distinct for ants' house was once a part of the municipality of Pan-ay mainly because of its abundant natural resources both from the coastal and upland areas. People from the nearby municipalities of Panay, Panitan, Maayon and President Roxas, would thrive in the market place like swarm of ants for trading. This rich tradition is now a celebration of life and thanksgiving for all Caguyumanons. Talahong Festival - Talaba and tahong is very rich in production in these areas. More than a hundred fisherfolk live along the coast. Since Sapian is abundant with seafoods, it was the initiative of the Local Government Unit to organize a Talahong Festival (Talaba-Tahong) every 2nd Friday and 2nd Saturday of May that promotes the local products. Tagbuan Festival - It was conceptualized during the Pre-Spanish time, wherein there were aetas in the upland barangay. Roxas Airport is an airport serving the general area of Roxas City, the provincial capital. The airport is classified as a Class 1 principal airport, by the Civil Aviation Authority of the Philippines. Roxas Airport has 3 flights daily and 4 flights on selected days courtesy of Philippine Airlines, Cebu Pacific and Tiger Air Philippines. The primary transportation vehicle used in Roxas City and other municipalities in Capiz is the tricycle. "Capiz Cab", the city's taxi that plies Roxas City and the 16 municipalities of the Capiz. Capiz Cabs are the first receipt-issuing taxis in the Philippines apart from those operating out of the Ninoy Aquino International Airport. Inter and provincial mobility of residents and their cargo is serviced by vans, buses and jeepneys. Sea transportation (cargo vessel) is served by Moreta Lines plying the route of Roxas to Manila. Roll On-Roll Off (Ro-Ro) are served by two (2) shipping companies namely Super Shuttle Roro 2 and 2Go to fetch passengers from Roxas City to Batangas City via Odiongan, Romblon. Inter-island shipping is also served from Roxas City to the following locationns such as: Balud, Masbate; Mandaon, Masbate; Sibuyan Island, Romblon; Cadiz, Negros Occidental; Guimaras Island; and Estancia, Iloilo. This list includes people with roots from Capiz. Manuel Roxas, first President of the independent Republic of the Philippines. Gerardo Roxas, Philippine Senator and son of President Manuel Roxas. Manuel Roxas II, Philippine Senator, grandson of President Manuel Roxas and currently the Department of Interior and Local Government (Philippines) secretary. Jeckster Apinan, a basketball player from Roxas, City, Capiz. Mac Belo, basketball player. A son of a Capiznon from Pan-ay, Capiz who migrated to Cotobato. Gina Alajar, actress and director. She was born in Lanot, Roxas City, Capiz. Charlie Davao, actor, he was born to Estrella Valdez of Capiz. Ricky Davao, actor and director. Ryan Eigenmann, actor and son of Gina Alajar. Geoff Eigenmann, actor, brother of Ryan Eigenmann, son of Gina Alajar. Daisy Avellana, actress and theater director. Barbie Almabis-Honasan, Singer, former frontman of Hungry Young Poets and Barbie's Cradle. Maria Margarita Moran Roxas - Floirendo - Bb. Pilipinas-Universe 1973, Miss Universe 1973 winner. A granddaughter of former Philippine President Manuel Roxas, she has also been known as Margie Morán Róxas and later as Margie Morán Róxas De Floirendo or simply Margie Morán. She was the last Philippine representative to the Miss Universe Pageant to bring home the crown until Pia Alonzo Wurtzbach 42 years later in 2015. Geraldine Villarruz Asis - Bb. Pilipinas-Universe 1987, Miss Universe 1987 finalist. Sharmaine Arnaiz was born Sharmila Velasco Pribhdas-Shahani to an Indian father and a mother from Legaspi St., Roxas City. She has a younger sister who is also an actress named Bunny Paras and their mother is the sister of the mother of Patrick Garcia and Cheska Garcia. Jovita Fuentes, the first female recipient of the National Artist Award. Paolo Bediones is a Filipino commercial model, television host, journalist, newscaster and radio announcer. Kara David, television host and journalist whose grandmother is a Capiznon. Vicki Belo, well-known dermatologist, daughter of Enrique “Ike” Belo of Pan-ay Capiz. Josepha Abiertas, feminist and lawyer was born and raised in Capiz.